Zywiec Męskie Granie festival is a summer tour through major Polish cities, held since 2010. 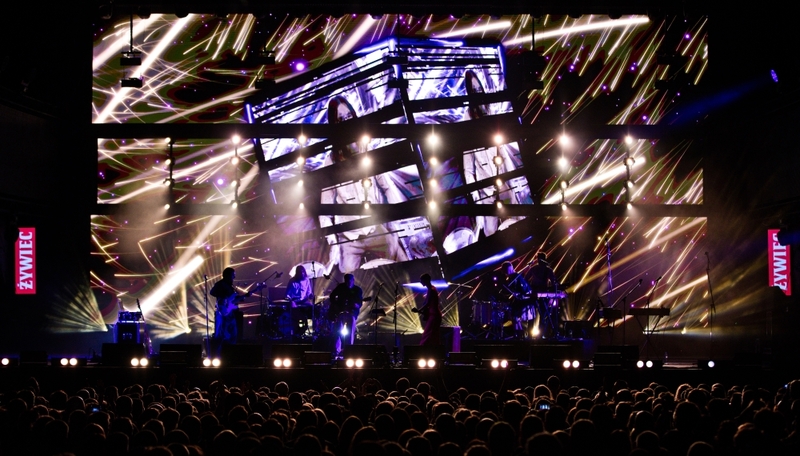 The aim of the tour is to present the creative edge of the Polish music scene through unique artist collaborations. Over 7 weeks the tour moves to 7 cities, with 6 or 7 acts each time. The challenges for the design are huge with limited setup time in each city, limited rehearsal time in each city, no preexisting band content to work with and varying artists aesthetics. Creative Production Lab Percepto used the real-time power of Notch to put the artists and the audience right into the experience. 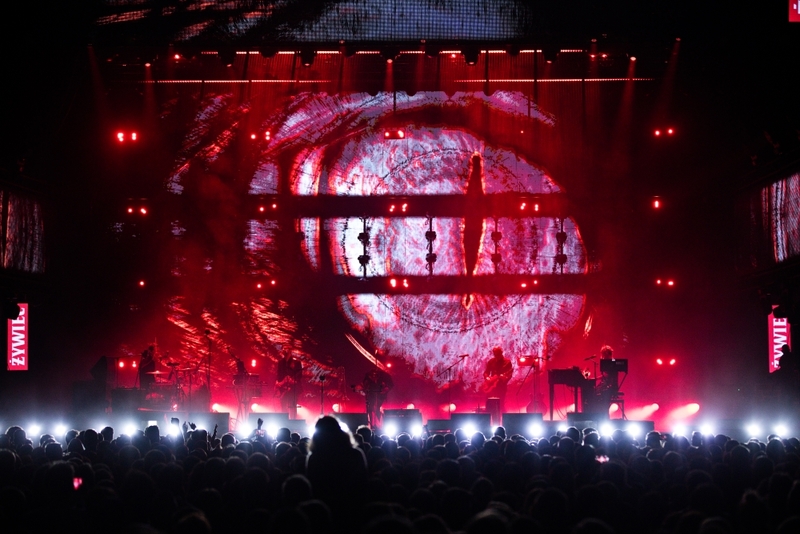 Percepto, founded by Pawel ‘Spider’ Pajak, the tour’s Creative Visual Director and Producer for the last 5 years, talks to Notch on his desire to create something fundamentally different: ‘Notch and disguise is a real game-changer for me. I’ve been using media servers and worked with lighting and video for years, but now everything has changed. We have totally new means of visual creation’. 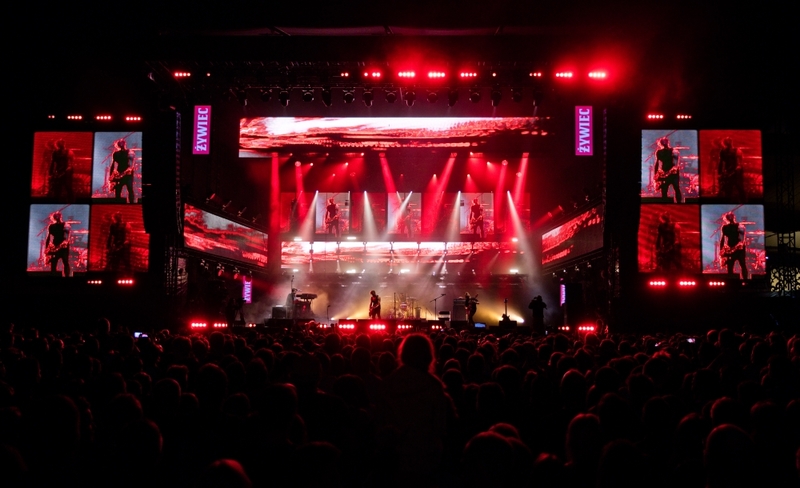 Spider realised he could finally bring an idea he’s had for years to life, ‘a 3D extension of the real world – a pure merger between existing stage and its elements like screens, trussing and lighting with virtually created ones’. Notch’s real-time engine enabled Spider to create fully controllable 3D environments, to deliver an immersive experience with just the flick of a switch to change between shows. A newly developed workflow combination of disguise, Notch and MA2 allowed Spider to control individual 3D elements – surfaces, trusses, fake RGB and volumetric lighting, set pieces, virtual screens, positions and movements in x.y.z axis as well as wide range of real-time generated Notch effects. Spider wanted to create a modern illusion that made people wonder what’s real and what’s not. And he did it.